Story teller is a good baby sitter which can sing songs to your baby for a nice sleep; Story teller is a cute friend which can talk to your baby to amusing your baby; Story teller is a kind teacher which can tell many stories to your baby. 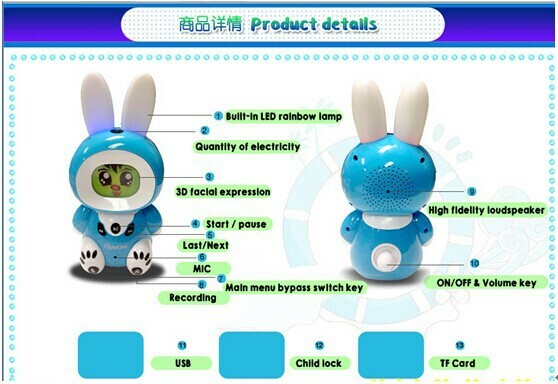 1) Lovely soft ear with warm led light. 5) USB interface support download and charging. 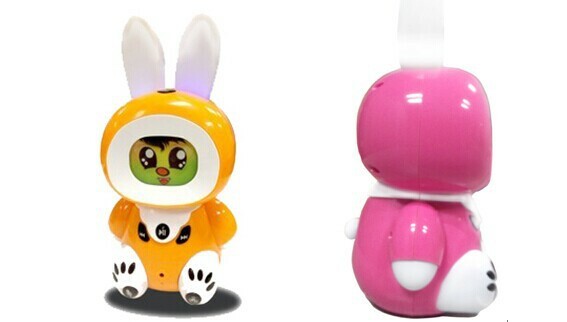 Send your inquiry to our good quality Chinese origin supplier kids Toddler Songs Muscial Toy education toy fancy toy intelligence robot products.